After a festive period spent over-indulging in calories, playing games with the family and fighting for the TV remote to ensure the correct (sport) channel was on, its back too normal and writing can resume – but only after wishing all followers and readers a Merry Christmas and Happy New Year! 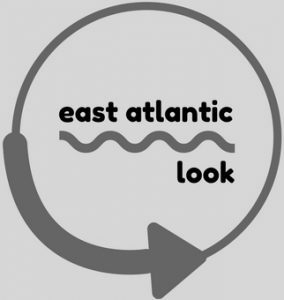 We made a couple of predictions in POST #3 about what we at East Atlantic Look expect to see during the MLB off-season; though little action, we have called one or two landing spots correctly and even come close to the contract values. Clinging to the coattails of that post, we thought that making some predictions for the 2018 calendar year would be a nice way to break in the year, as well as providing a reference point to continuously refer to throughout 2018. Some predictions may be ‘obvious’, some may be more radical – but hopefully we can justify our thinking with our blurbs! As the year turns, sporting attention begins focussing solely on the NFL play-off race. The Patriots rallied last year to turn around a huge deficit in the Superbowl to beat the Atlanta Falcons, and it would seem that in a low quality year of American Football, the Pats may face their sternest test in the Conference Final against Pittsburgh Steelers (probably). Though the Pats defence is nothing to write home about this year, any offense that includes MVP-winner (again, probably) Tom Brady and a fit Rob Gronkowski cannot be bet against – even if your line-up includes the 3 B’s of Pittsburgh. The NFC race is more complicated and really is a pick ‘em contest; the Philadelphia Eagles do not look like a true number 1 seed without Carson Wentz, the Minnesota Vikings and LA Rams look like contenders on a good day but not winners and the trio potentially graduating from the AFC South struggle to put an entire month together worthy of winning a championship. That leaves the Pats. Again. Sorry. This probably isn’t the most ground-breaking of predictions when it comes to saying he won’t be the AL MVP; he’ll be playing alongside Mike Trout and in a division full of both offensive and defensive talent – including people who can do both, like reigning MVP Jose Altuve. It’s long been said that the MVP award is a hitting award because pitchers have the CY Young; though the LA Angels say Shohei Ohtani is going to be given at-bats, he’s going to be an important part of their rotation and so it is his pitching he is going to be ultimately judged on. Probably. There are rookies emerging all of the time, and all it will take is one player who can swing a bat 2 days a week to catch the eye of the voters who will ultimately leapfrog Ohtani in the betting. I hope he can play as a two-way player, but I’m doubtful. We’ve been blessed these last two years to get our money’s worth when it comes to the Fall Classic, watching both the Chicago Cubs and Houston Astros win it all in a final game 7 in early November. While prolonging the baseball season is good for everyone (it makes the off-season shorter), sheer laws of probability suggest that we won’t see a 7-game series again in 2018. Who makes the 2018 showpiece series is a tougher call, though I would be confident predicting that the 4 teams contesting the divisional titles would have a good chance one more – there’s always likely to be contenders emerge, but whether anyone becomes good enough to overhaul the established sides we will have to wait and see. Some calls may be seen as obvious, but predictions are sometimes just that, we’re not looking for a hot-take here, just some content to enjoy reading in the early new year! Happy new year to all our friends, new and old; have a prosperous 2018. We look forward to catching up with as many of you as possible in the new year. Previous Post A UK based social commentator on all things American Sport? #12 Breaking down the early embers of the MLB Hot Stove.